Established 1968, Supplying and Installing Garage Door and Garage Door Openers. Personality Garage Doors has established a reputation as Sydney's leader in Garage doors for 60 years and now host Sydney's most complete range of garage door services. From Sectional doors, Roller doors and Tilt doors to custom made garage doors, we're able to bring you the look and function your home needs. Born out of living in a typical Sydney Eastern Suburbs terrace, where space is a premium and parking a nightmare, Rolling View transforms garage doors from dull and boring to visually compelling. We print and install a retractable screen, which attaches to the garage door without interfering with the functionality or mechanics, enabling you to enjoy your vista of choice whilst maintaining access. Guardright Industries offers Crimsafe Security Products, Roller Shutters, Plantation Shutters and Magnetite Double Glazing, which provides first-class security, noise control, and weather management products for home or business. Our team has over 23 years’ experience and we are proud to be a well-known shutter store for western Sydney, from Parramatta to the Blue Mountains. 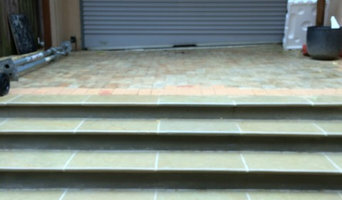 At Guardright you will find the best security screen doors Sydney supplies, including the iconic Crimsafe brand. We are the number one choice for businesses and home owners when it comes to blinds, awnings, windows and roller shutters for domestic homes and businesses. Not only do our range of shutters and blinds reduce the hot Penrith temperatures in summer, they offer superior security and can complement the aesthetics of your home or business. Guardright is committed to outstanding, reliable and honest customer service. We take great pride in taking the very best care of you, every step of the way. Metro Garage Services install new automatic garage door openers in Sydney. We can take your existing non-motorised garage door and professionally install a remote controlled opener to give you the immediate convenience you see with the latest in automated garage doors. Our service is prompt and carried out by professionally trained, courteous staff and all our services and products, of course, are provided with a guarantee for your peace of mind. Easylift Garage Doors providing the great services and has been fitting all types of garage doors in Sydney & supplying Automatic Garage Doors Sydney since 1956. 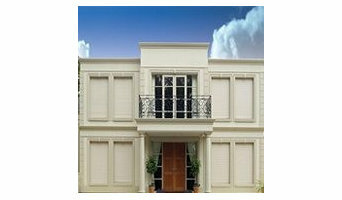 A & K Doors, the Solution for Acquiring the Best Garage Doors in Sydney. We have a great range of Quality Garage Door types to suit any home. With over 25 years experience in the garage door industry we strive to provide you with the best quality garage door to suit your needs. The garage door is often the largest and most prominent feature of your home. For this reason choosing the correct garage door is a crucial decision that we at A&K Doors can help you with. 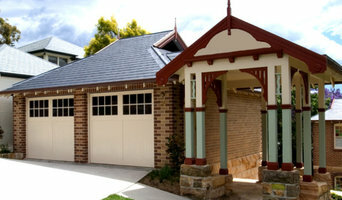 We also offer installation, maintenance and repairs to all types of domestic garage doors in Sydney. We understand how hard it is to put up with a damaged door since the functionality of your garage will never be fully exhausted and you can never keep your valuables safe. At A&K Doors, we do not only do business but we care for our customers’ safety and security as well. We can make your garage door operate smoothly right away. 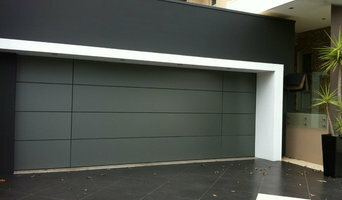 Acquire a cost-effective service that can change your garage door into a stylish and operational one. Give us a call now at 0417 456 100. We prioritize the satisfaction of our customers! 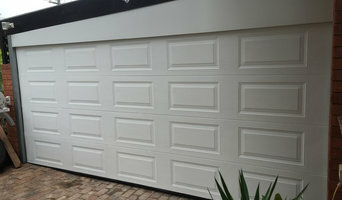 Our experienced staff can offer quick and professional garage doors in the North Shore. They are able to give the highest possible standards for your convenience and enjoyment from acquiring a new garage door. End your worries with broken and faulty garage doors since A&K Doors can fix it for you though it is from other manufacturer. A family owned business providing all garage door repair, service, installation and replacement services. We are proud to serve the local community with a 24 hour fast, friendly, efficient and affordable garage door service. Call us NOW and one of our experienced, qualified experts will help you. For fast, efficient, friendly and affordable garage door repair, maintenance, installation and replacement services 24 hours a day, call us Now! Metric Labs is a multidisciplinary team who use mathematics, statistics and technology to deliver value to their clients. Paid search is a complex playground, with a multitude of metrics and dimensions to consider and ever-shifting auction. We help connect garage & car space owners with people who need a good parking spot in a convenient location. In terms of aesthetics, your garage door and roller shutters should complement the exterior of your home, so use coordinating materials and colours. If you’re going to choose a roller door, you will have to stick to steel or aluminium, but will be able to choose any colour for the coating. Part of the secret to great-looking garage doors is the way they harmonise with the rest of the home’s exterior. A garage door manufacturer or designer in Croydon, New South Wales might be able to collaborate with your home’s architect, designer, builder or other home improvement professional to design a stunning exterior. Here are some related professionals and vendors to complement the work of garage doors: Cladding & Exteriors, Doors, Home Builders, Design & Construction Firms, Artists & Artisans. Find Croydon, New South Wales garage door and roller shutter professionals on Houzz. Narrow your search for garage door professionals by selecting the nearest city or postcode. Look at portfolio and product photos, and read reviews to find the best garage door professional for your home.